If you love DIY projects and make your own beauty products, consider growing a beauty garden. A beauty garden is a garden full of organic plants, herbs and flowers that you can use to make homemade beauty products. Growing a beauty garden is a great way to save money on beauty products and take control of the source of the ingredients you add to your DIY beauty products. To learn about how to grow a beauty garden and some of the fabulous beauty products you can make with the wonderful things you grow, Posh Beauty Blog sourced Rebecca Bennett co-owner of Thesolidbarcompany.com. 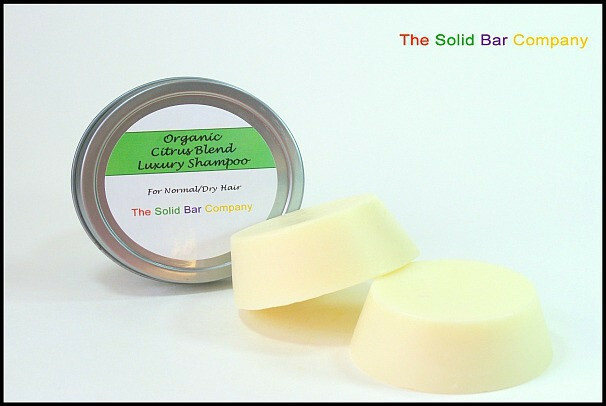 The Solid Bar Company is known for freshly handmade, luxury organic hair care bars, lotions bars, pet bars, and more. Bonus: Be sure to scroll down for a special discount code for The Solid Bar Company especially for Posh Beauty Blog readers! When you’re planning your beauty garden, Rebecca says to remember that the best ingredients to grow are the natural ingredients that you pay a lot for in your beauty products. Rebecca provides the following tips for creating a beauty garden. You can grow citrus trees outdoors in pots, for example, limes, oranges or lemons and infuse the peels in oil to add to a scrub. Ideally Citrus plants require a sunny sheltered position but get damaged below 45F, so move into a frost free conservatory or greenhouse during the winter in colder areas. They require regular feeding; a high nitrogen feed (such as lawn feed) is good to use regularly for the summer months. Water freely in summer and allow soil to partially dry out before watering in winter. Only minimal pruning is necessary, to remove leggy branches and encourage bushy growth. Citrus trees are self-fertile. The alpha hydroxyl acids found in lemon peels are said to possess stringent and skin brightening qualities. For a citrus body scrub, cut the skins of the citrus and place in a pot with organic coconut oil (fractionated or virgin) on a stove on a low heat setting for several hours, or alternatively place in a jar, cover with coconut oil and leave on a sunny window sill for 1-2 weeks, turning occasionally. Add to Epsom salt in a jar along with a few drops of citrus essential oil (grapefruit, sweet orange, etc.) for a wonderfully refreshing body scrub. Alternatively make orange blossom water by picking the blossoms, washing them and then pounding them with a pestle and mortar before putting them in a jar with distilled water for 1-2 weeks. Strain and store water in fridge. Add a few drops of Neroli essential oil if desired. Use in homemade soap and lotion recipes, or mix with clay to create a wonderfully refreshing mask. Jasmine flowers have an intoxicating scent which can be fully enjoyed when grown in the garden, either as a climbing plant such as ‘Jasminum officinale’(which can tolerate temperatures as low as 10F) or a bushy plant such as Jasmine sambac (Egyptian Jasmine, minimum temperature around 60F) and from which you can also make tea. Grow in well drained neutral to acidic soil on a sheltered site in full sun or partial shade. Their scent is both calming and relaxing and excellent in skin care products. You can infuse the Jasmine flowers in oil, for example. On a sunny day, pick the flowers in the late morning. Lay them on a white sheet in sunlight and leave for few days to dry out. Fill empty jar with dried flowers and just cover them with a light carrier oil such as light olive oil, jojoba or almond oil. Put lid on loosely. Then either put the jar in full sun on a window ledge for 3 weeks or place in baking pan filled with water in the oven on the lowest setting to gently infuse. Leave in oven for 3hrs and carefully remove with cloth. Strain oil and pour into a dark colored glass jar and label. Add a few drops of Jasmine essential oil to increase strength of scent. Use as a base for creams, use directly on skin or pour a little into a filled bath and relax. There are numerous colored and scented roses to choose from and you can grow anything from climbing roses to patio or shrub roses in a container or directly in your yard. Ideally visit a local plant nursery to find the right rose variety for your site, using one with a delightful perfume that also grows well in your area. 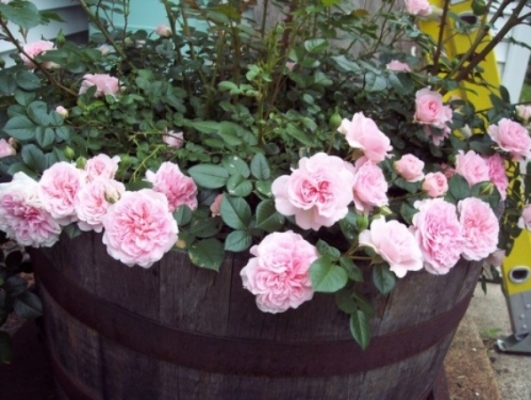 Roses like rich soil with plenty of organic matter such as well rotted horse manure mixed in with good quality loamy soil and an annual organic matter mulch applied to the surface of the soil up to three inches. Plant in a sheltered, sunny site where the roots are preferably in the shade. Apply a general rose fertilizer every spring and again in summer if growth is slow. Prune will vary according to the type of rose you have. Rose oil requires so many petals per drop it is the most expensive essential oil in the world. However, there are recipes you can make from your own roses. Make rose water by picking petals in late morning and drying as with Jasmine for a few days. Pour into a jar with boiling distilled water, cover loosely and leave to infuse for several hours. Strain and add rose essential oil if desired to increase the rose scent and add freshly to a bath or mix with clay for a face mask or add 20% alcohol (100% proof) for preservation and use as a linen, room mist spray or spritzer. Alternatively use in home made soap or lotion recipes with a few drops of rosehip seed oil, popular in skin care products for its amazing anti-aging effects. Lavender is very easy to grow, preferring free draining, sandy soil in full sun. Perfect to place near a back door or outside garden seat where the scent of their flowers can be enjoyed. Lavender is said to have antiseptic and anti fungal properties, as well as helping eliminate nervous tension, increase blood circulation and treat respiratory problems. 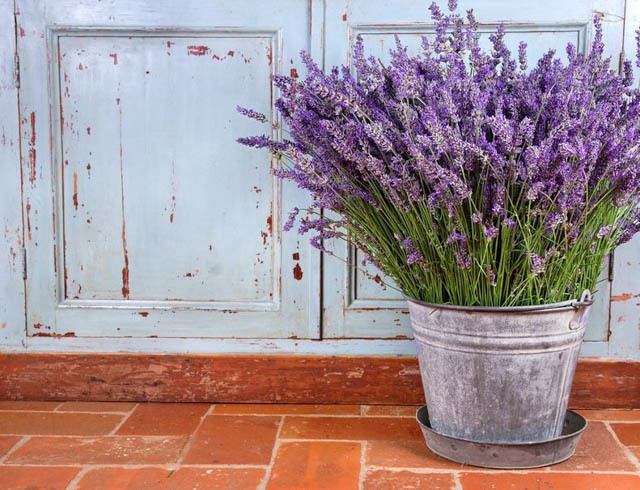 Lavender flowers can be dried and put into a jar with distilled hot water as with roses, strained and used for a soap or lotion base or mixed with a little alcohol to create a lovely, freshly scented linen spray or room mist spray. Flowers can also be infused in oils in a double boiler on the stove for several hours to use in lotions or for direct skin application. A few drops of Lavender essential oil can be added to the infused oil increase scent if desired. Dried lavender flowers in sachets and placed in closets can be used to repel moths or placed under a pillow to encourage sleep. Another Mediterranean plant that is easy to grow is Rosemary, preferring well drained soil in a sunny site. It has antioxidant properties which when used on the skin promote circulation whilst the scent of the plant enhances alertness. Make a skin toner by placing rosemary leaves in a jar and cover with non-alcoholic witch hazel and leave in a cool, dark place for about two weeks, shaking regularly. Strain mixture into a clean jar and label. You can add a few drops of essential oil such as lavender, tea tree or cedarwood. It can also be used as a herbal hair rinse after shampooing, to condition the scalp and help with dandruff. Infuse a few springs of rosemary stems in boiling water on the stove for 15 minutes. Allow to cool overnight and then strain into a bottle. Pour over your hair in the shower after shampooing. Don’t rinse off. Calendula (also known as Marigolds) are bright and cheery flowers with amazing healing characteristics. They repel aphids in vegetable gardens but can also be dried and infused into products such as diaper balms and lotions due to their anti-bacterial, anti-inflammatory and anti-fungal properties. 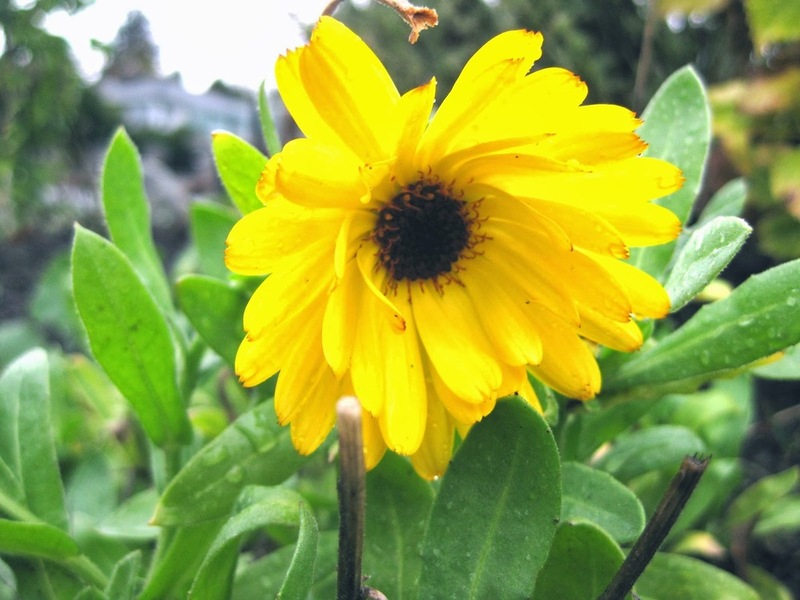 This flower has been used for centuries to treat burns, bites, bruises, rashes and more and is a great addition to any homemade beauty products. It is very easy to grow. Sow seed in light, poor, free draining soil in full sun or partial shade in the early autumn or spring and water regularly. Deadhead frequently to prolong flowering. Harvest and dry the flowers for a few days inside and make sure they’re completely dry before using or storing. Infuse in oil in a double boiler for several hours, strain and add beeswax to make a lovely body healing balm, suitable for all the family. Lemon Balm, part of the mint family is anti-viral and can be used for insect bites and rashes and is also excellent for cold sores, making a wonderful ingredient in lip balms. It is an expensive essential oil to buy due to the amount of leaves required to produce the oil (called ‘Melissa’) but you can easily grow it in your yard or in a container as an inexpensive alternative. It ideally likes a sheltered, sunny or partially shaded location in moist, well drained soil. It has a lovely lemon aroma and is wonderfully refreshing. Fresh leaves can be added and infused in coconut oil for lip balms, infused in 100% proof alcohol for a few weeks to make a tincture (taken in a spoonful with honey to help fight off colds) or infused in apple cider vinegar, strained and added to a bath or used as a refreshing hair rinse.